There are a couple of big closures this weekend that you should be aware of as you plan your driving routes this weekend. The first is the 12th Street exit from inbound 395 across the Case Bridge. 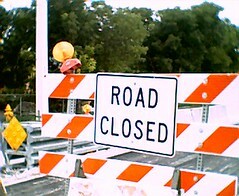 The ramp from 395 to 12th Street will be closed starting tonight at 9pm, and will not reopen until 4am on Monday. They’re fixing things on the ramp most of the weekend, and that will also close D Street SW east of 12th Street, too. In addition, DDOT is doing some testing on the Frederick Douglass Bridge (South Capitol Street Bridge) from 4am to 9am on Sunday for standard monthly testing of the swing span. You should also prepare for evening stoppages next week on DC 295 and I-295 around the 11th Street bridge project next week as they remove old sign structures and so they can add the steel trussing for the pedestrian bridge.